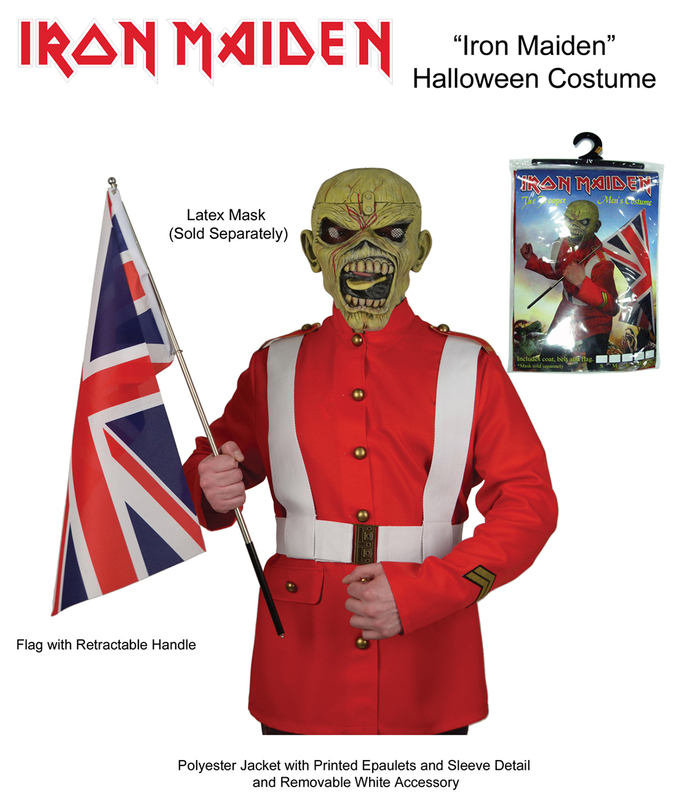 Rock your next Halloween party or Iron Maiden concert in this men’s costume that lets you become legendary metal mascot Eddie! Based on the cover art for the classic The Trooper single, it includes epaulet jacket, Union Jack flag and belt with suspender straps. Polyester jacket and cotton belt are machine washable. Mask sold separately. Assortment comes in variety of sizes from Small to XXL.